The digital age is well and truly upon us. We have come to rely on technology to help us eat, sleep, exercise and much more. Instant worldwide communication is with many of us 24/7 and this is only going to increase moving forward. Consequently, this has resulted in an increase in the expectations of people in areas such as user experience, customer service and response times. From my own experience in industry, a lot of people traditionally started out in apprenticeships (some in the public sector) and worked their way up to decision-maker roles through different companies in their industry. This meant that they knew a lot of people through time who worked in different companies, and therefore had good knowledge of the industry landscape. Also, this meant they knew where to go for their products and services. With Generation Y maturing, more people will be in these roles who have come down the academic route, and will be forming decisions based on data and brand awareness rather than association and history. And the first place most people go when they want to research or learn about something? In the digital age, it’s all about getting found online. Delight: Don’t forget about your customers once they’re on your books. Use them as valuable advocates for your brand by delivering outstanding customer service. Capture feedback using surveys and keep the conversation going using social monitoring tools. 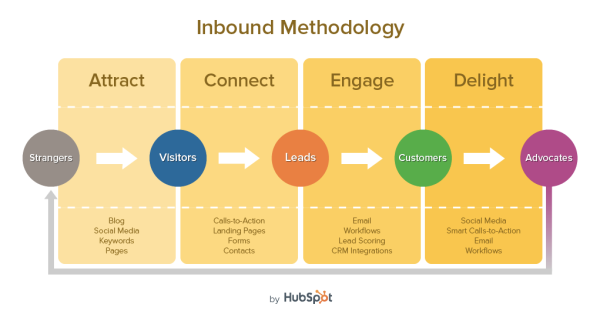 The advantage of inbound is that it targets people more accurately than traditional marketing, and if implemented well, provides an ROI far greater than that of traditional marketing methods. Also a large amount of data is available to you a)to target people b)to monitor performance and identify potential areas for improvement. It’s easy to assume that social media is only useful for sharing photos of dogs with human eyes, but 4.5 billion Facebook likes are generated every day, which add to the impressions content makes on the network, so if your content is like-worthy and shareable, it can be a low cost way to spread your content and increase brand awareness. "Mobile isn’t a priority in my industry"
Generation Y (as identified in this report as people born in the 80s and 90s) spend an average of 2 hours a day on their smartphones across 6 apps per day, and will make up 50% of the workforce by 2015. The importance of responsive mobile-friendly websites is ever increasing as more and more people rely on mobile for their web browsing. Mobile is also a consideration when setting up advertising campaigns – adverts can be optimised on mobile devices to include call buttons, or local results, for people browsing from certain areas or residing in certain areas. 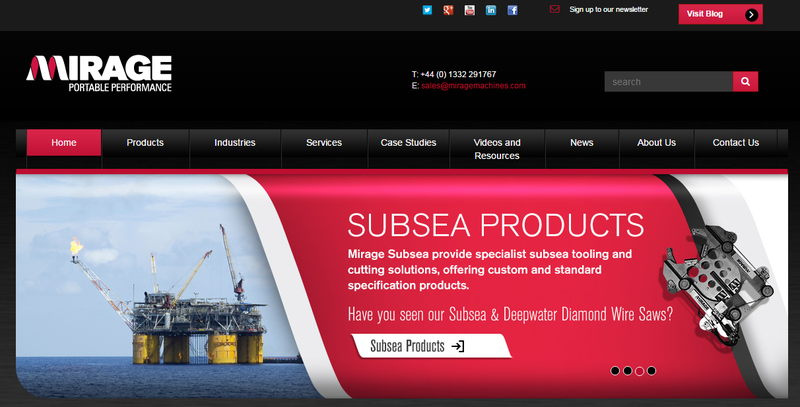 Here’s 2 standout examples of manufacturing companies using inbound marketing effectively. Burns McDonnell demonstrate how social media can extend reach, build brand awareness and following, with 10,000 subscribers between Facebook and Twitter alone. They also maintain a compelling careers blog which garners a good following and number of social shares. Mirage Machines, on the other hand, demonstrate the value of a conversion optimised site, driving customers where organically possibly to take up offers of premium content using Call To Action (CTA) buttons on the site, and using colour/space well to drive reader’s attention to these CTAs. In summary, the people you are looking to attract, the decision makers in industry, are relying more on the internet, and their mobile phones, to research and aid in those big decisions. Utilising inbound marketing techniques will bring you closer to your ideal customers, potentially for a significantly lower cost. The longer you leave it, the more you’ll be playing catch up when you start.